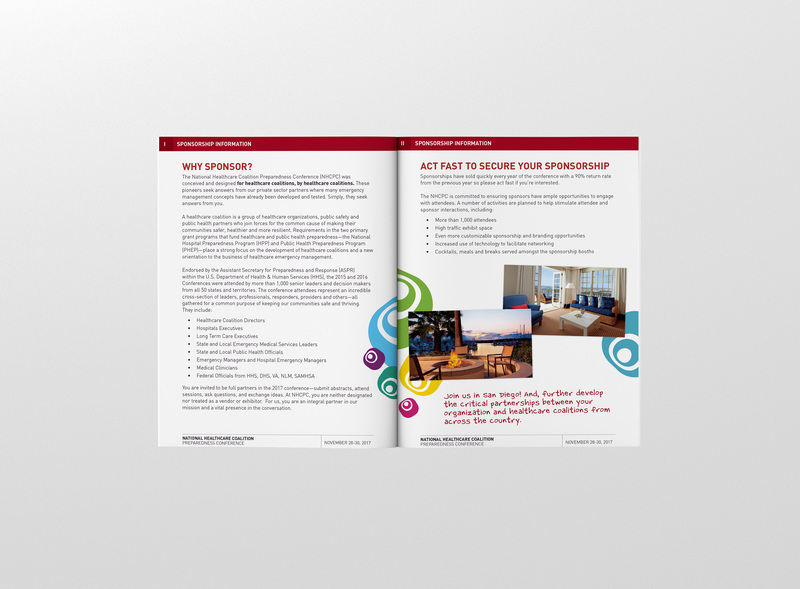 "I've worked with Jose and the Creative Cycle for the last 5 years and am constantly impressed by the quality of their work. 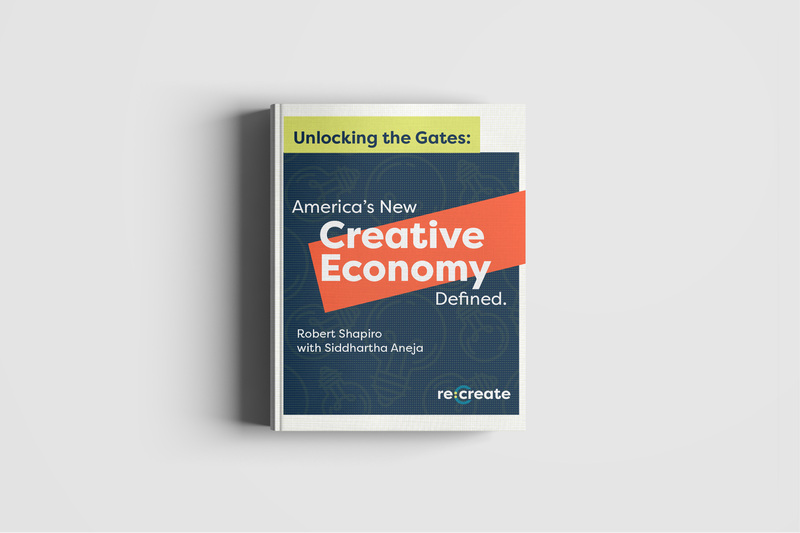 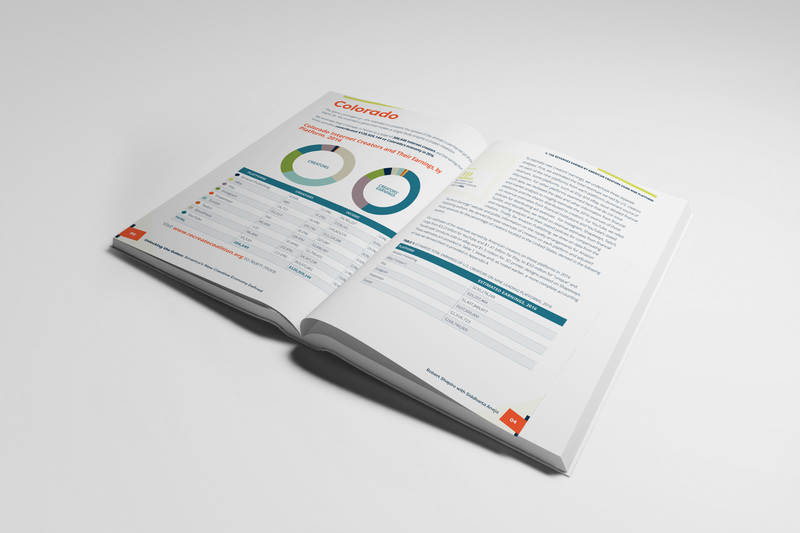 From expansive presentations and websites to printed marketing materials, Creative Cycle is a one-stop shop that blends creativity and great design"
Worked with Reingold on designing and producing design templates and style treatments of charts, graphics and tables for a report on American's Creative Economy for Re.Create. 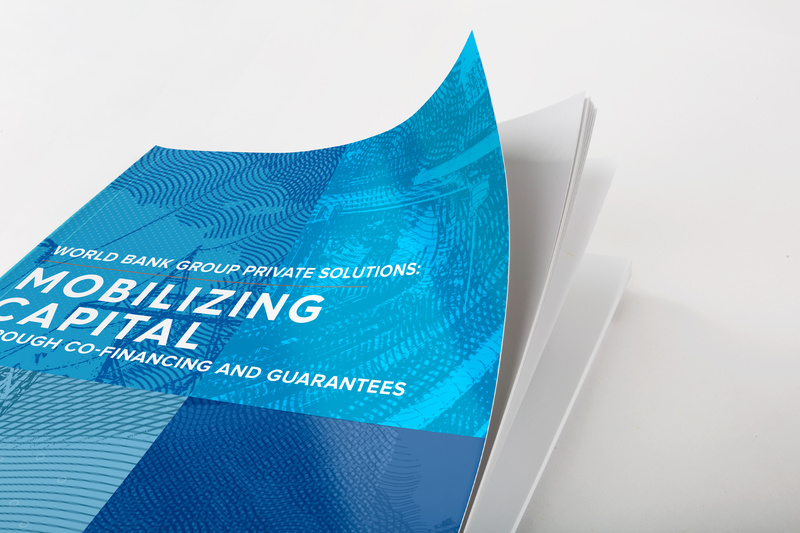 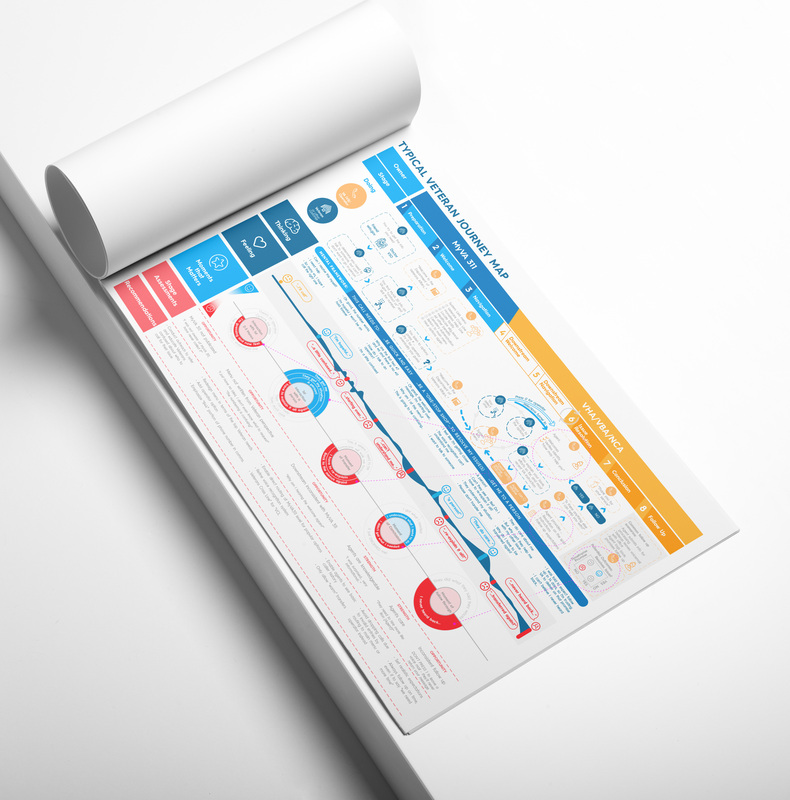 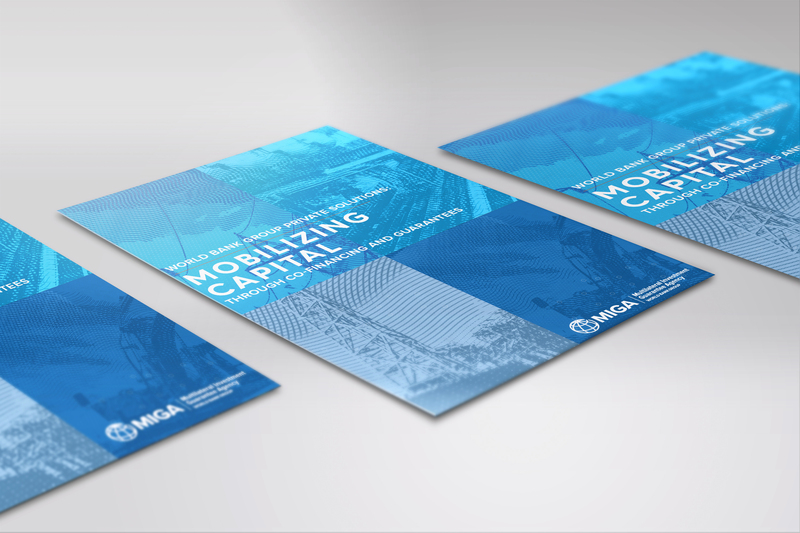 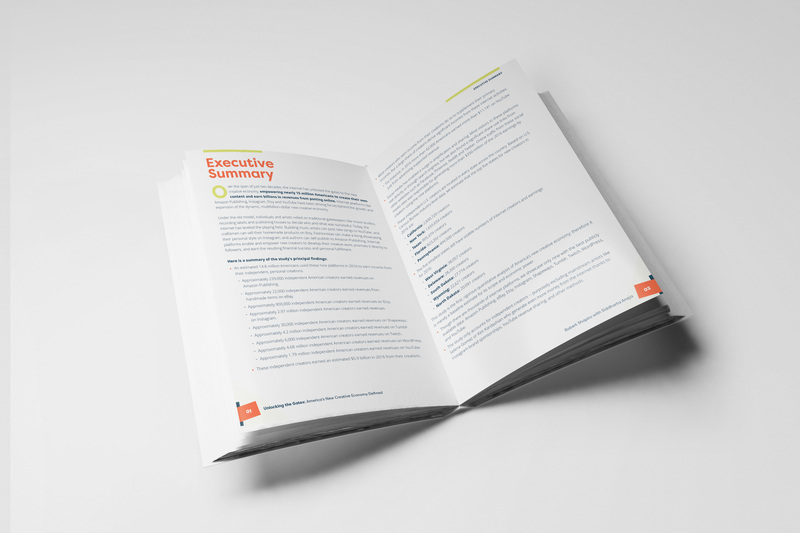 We worked with Threespot on a series of event materials for the World Bank Group and MIGA. 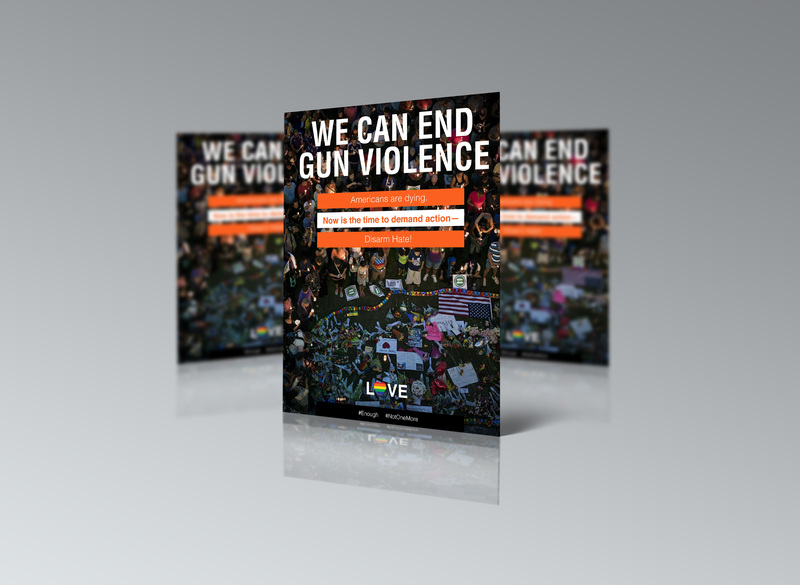 We began exploring different design directions through the cover of the event program, and landed on a final design direction that drove the design style of additional event materials. 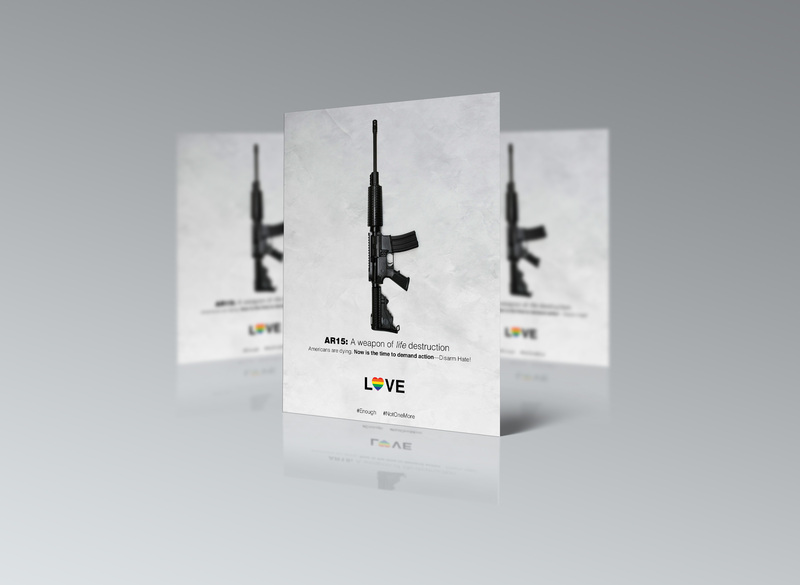 Worked with Deliver Strategies on ideas for a direct mail marketing campaign in response to the terrorist attack and hate crime inside Pulse, a gay nightclub in Orlando, Florida, on June 2016. 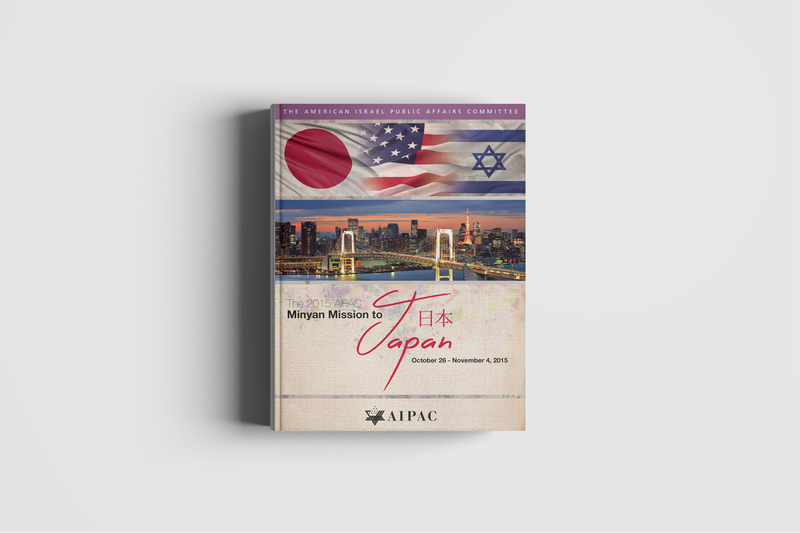 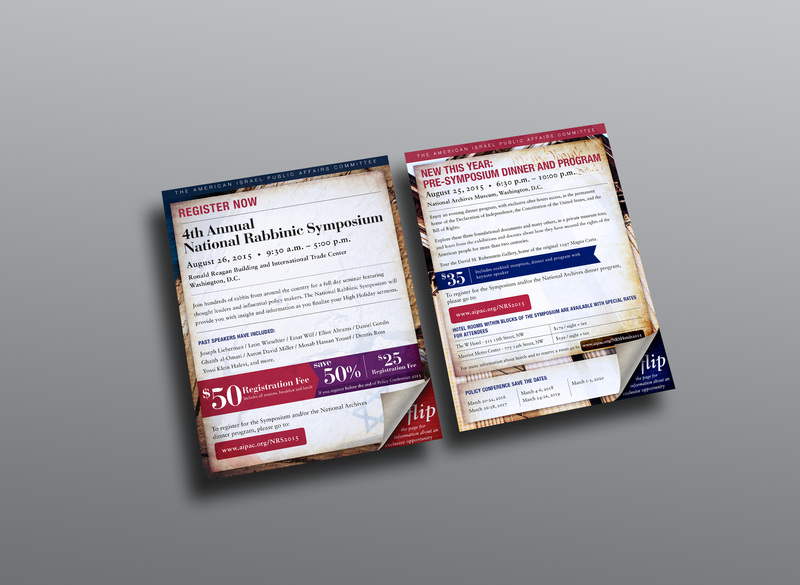 Worked on a briefing book for AIPAC's Minyan Mission to Japan. 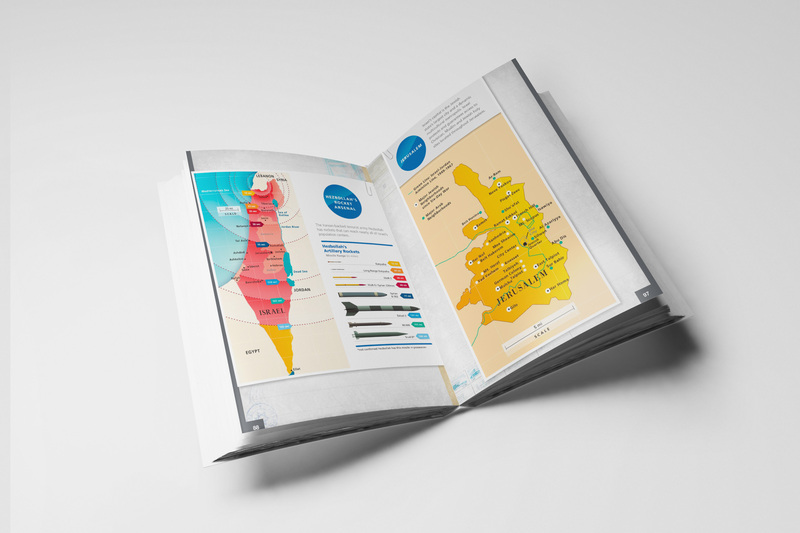 We worked on design styles and ideas to highlight the geographic location of the trip, and we tried to complement visually the economic and political information about the U.S., Israel, and Japan that is highlighted through out the publication. 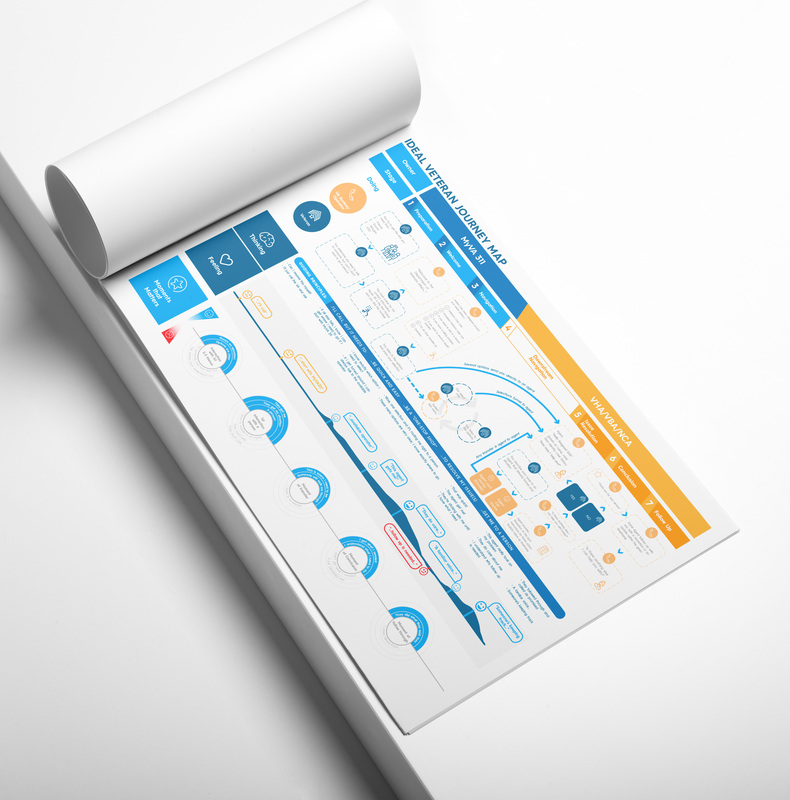 Worked with FP1 Strategies to create a series of one pager ads that highlight visually some of the service and cost differentiators of Charter Communications. 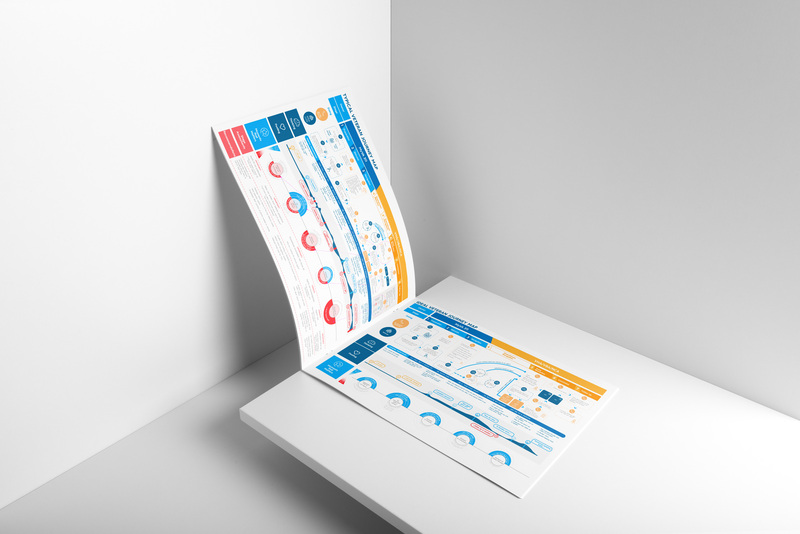 Set up AirPlus International with a new branded table top display banner, to help display and promote one of their products at different industry events. 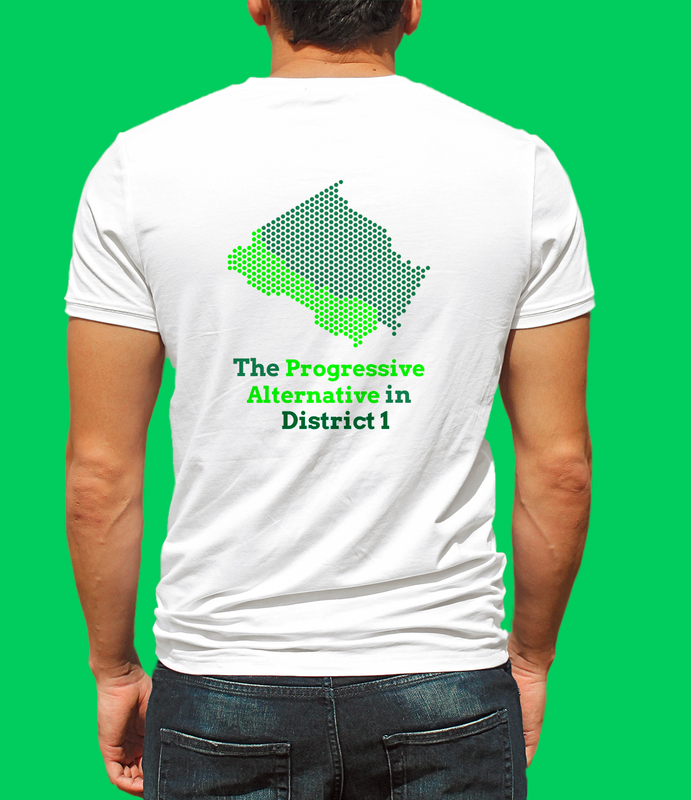 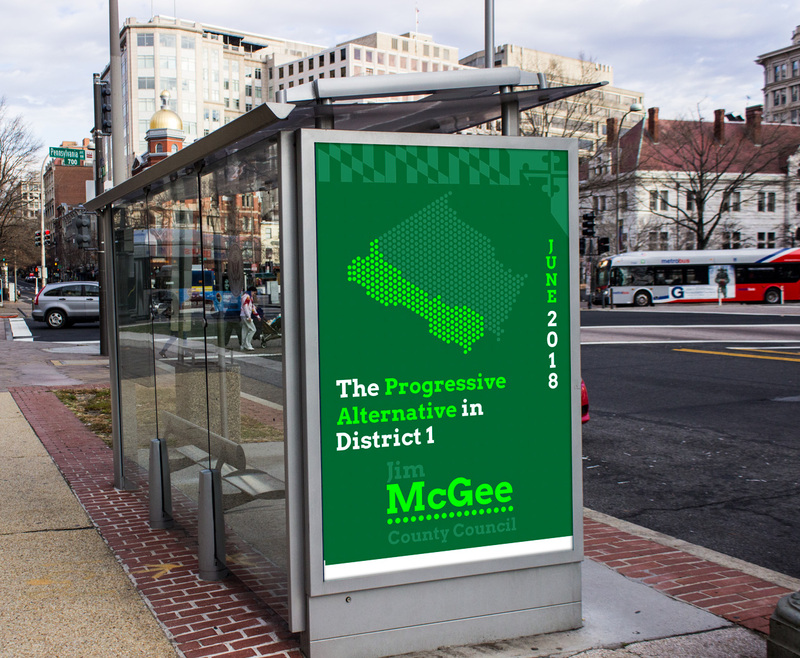 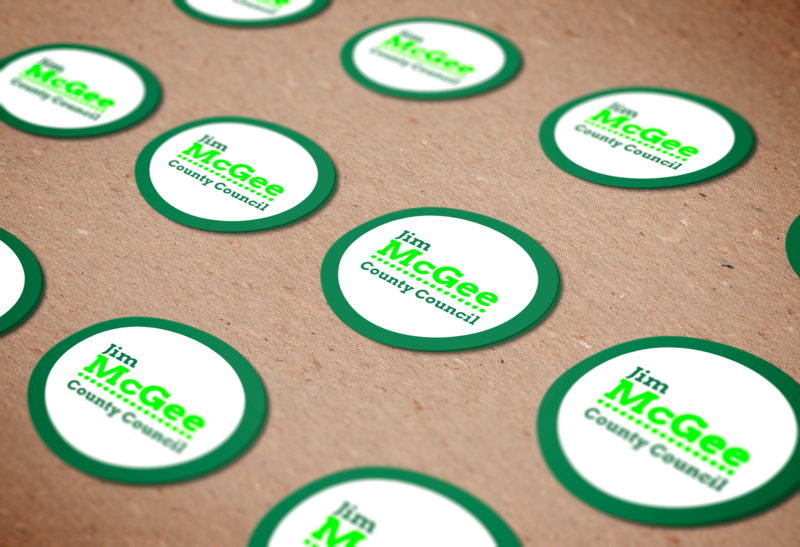 Worked with Jim McGee to produce a political brand and campaign materials to promote his campaign race for County Council office for District 1 in Maryland on June 2018. 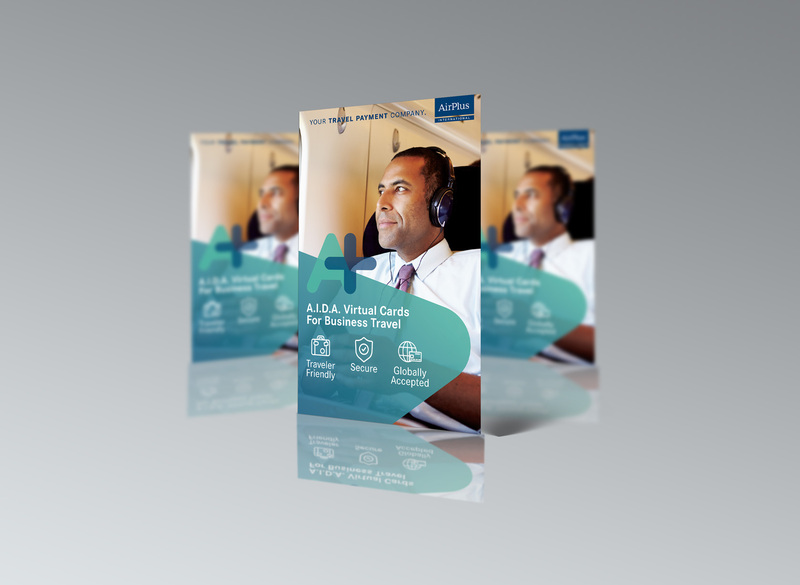 Worked with Rios Partners on setting up a Veteran's typical and ideal customer journey map for when interacting with MyVA311. 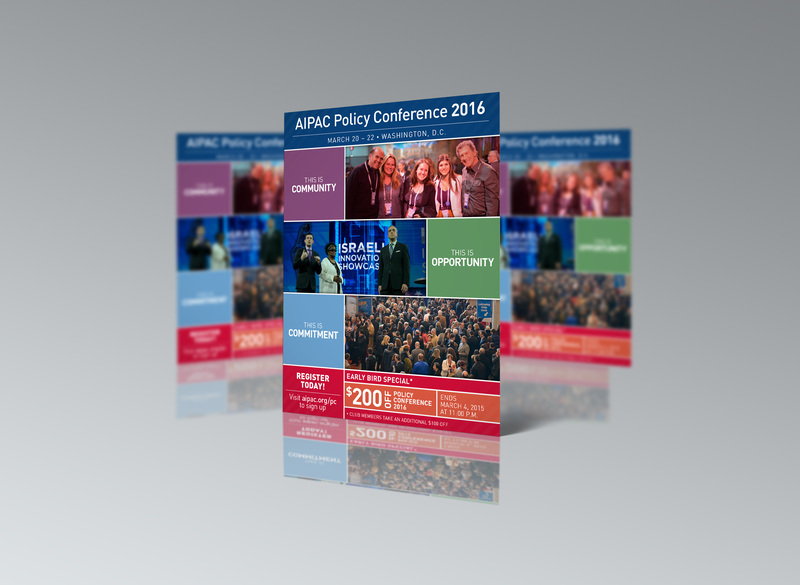 Set up a series of event, informational and promotional materials, for AIPAC's Policy Conference in 2015. 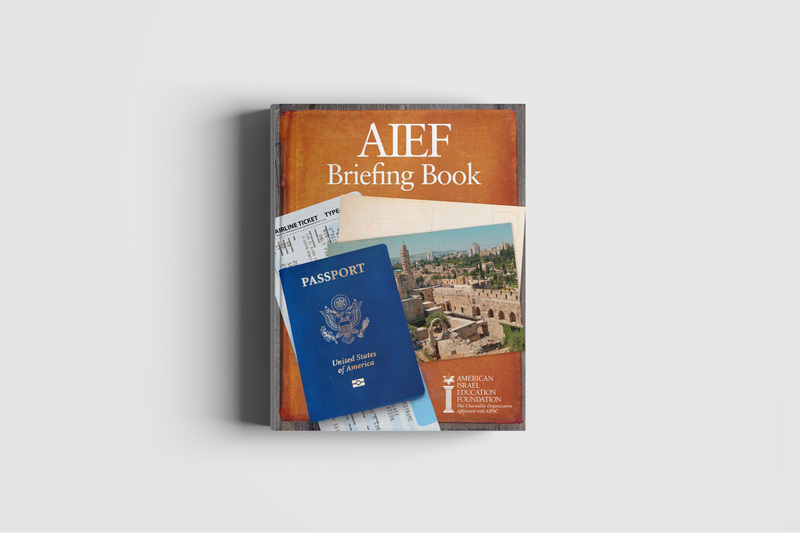 Design and produce a publication for AIEF's trips to Israel. 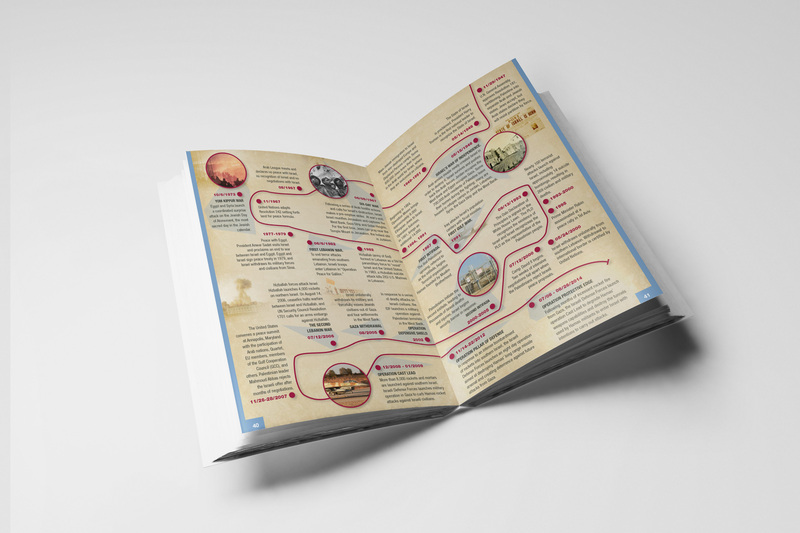 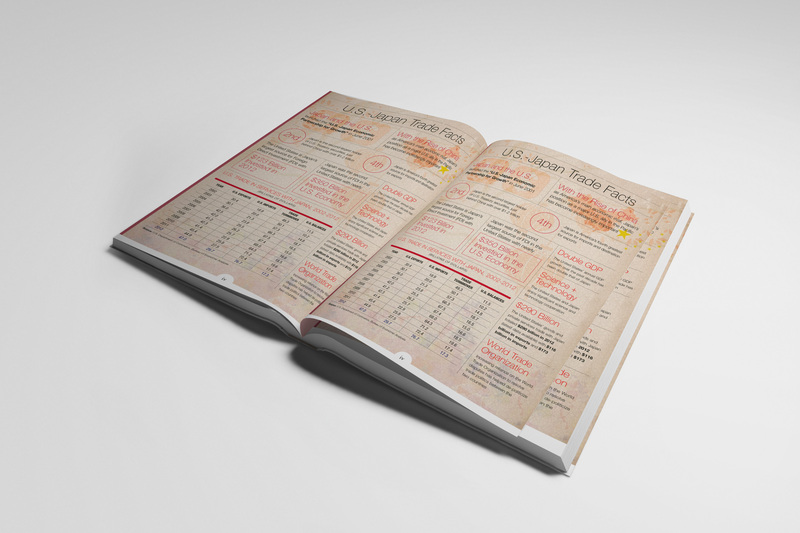 The briefing book provides travelers with important information about the journey ahead. 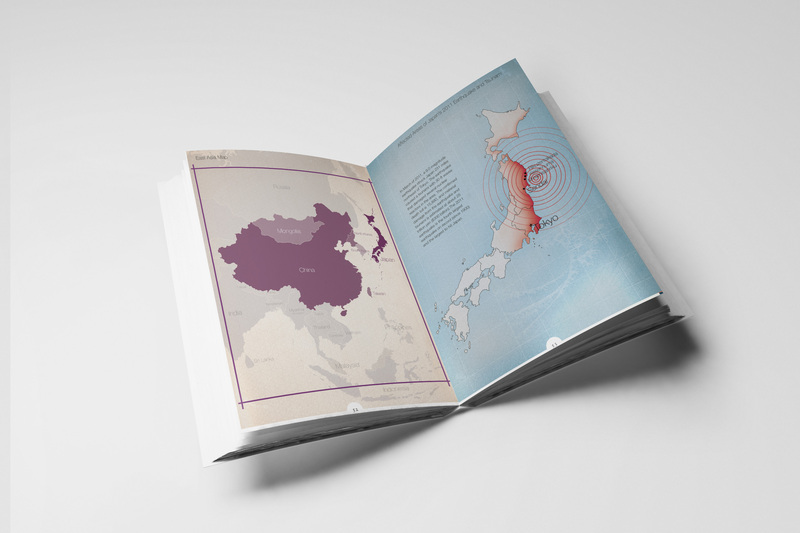 And it was produce to allow AIEF the capability to update content and produced several of these publications in house. 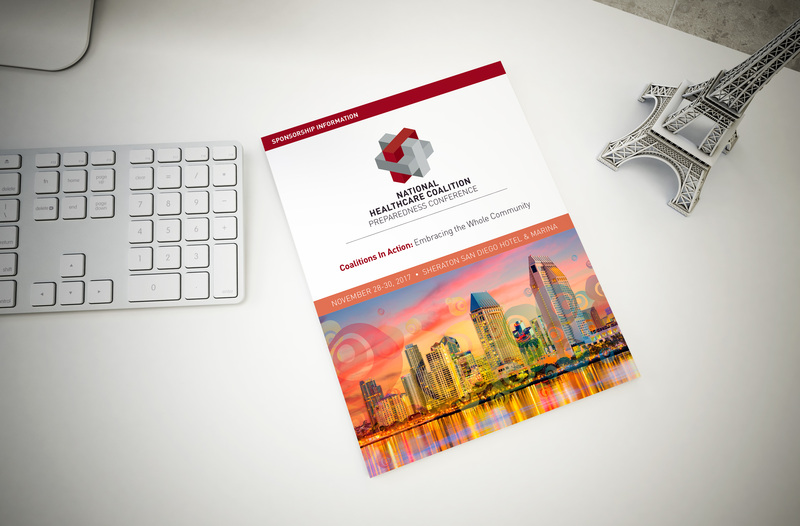 Set up an organizationally branded sponsorship prospect package for NHCPC's event in San Diego. 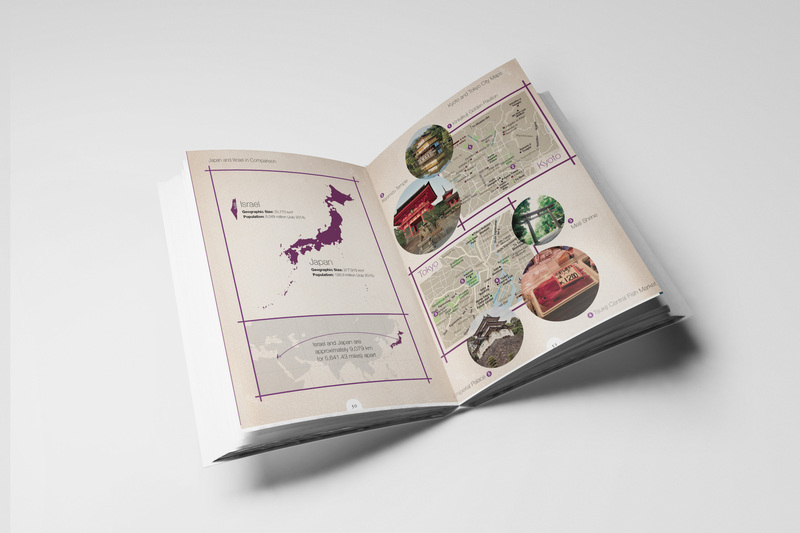 The design direction kept the brand intact but added the city's personality through photography and complementary design elements. 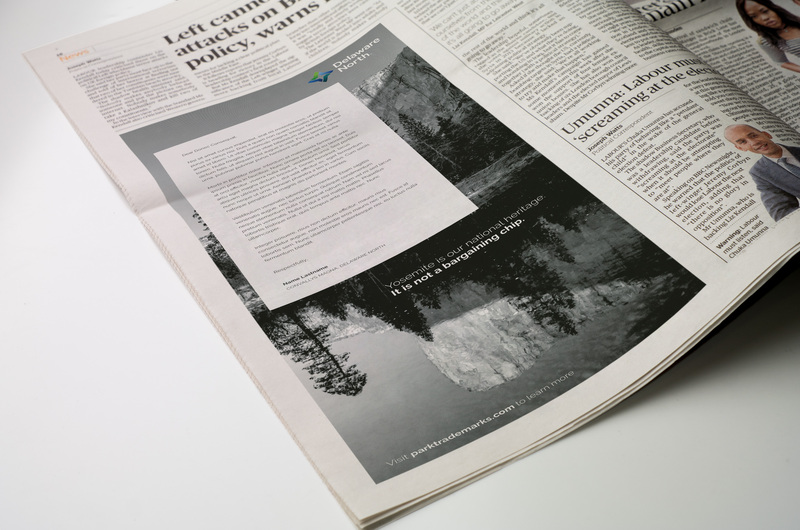 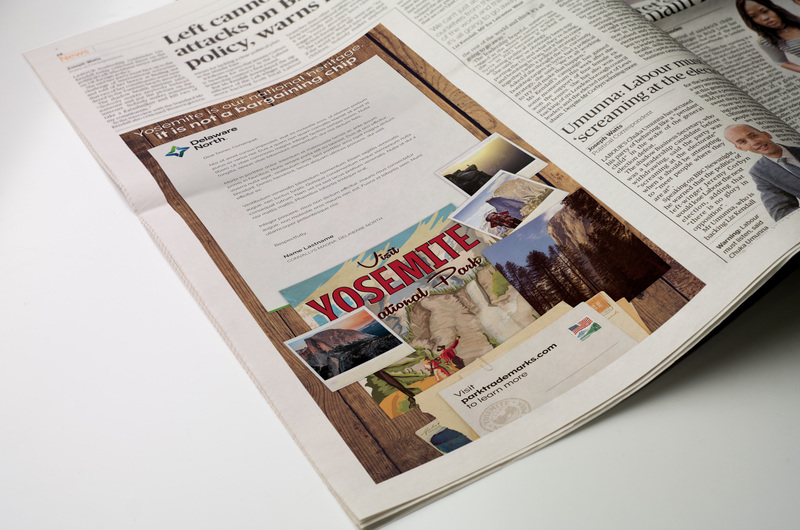 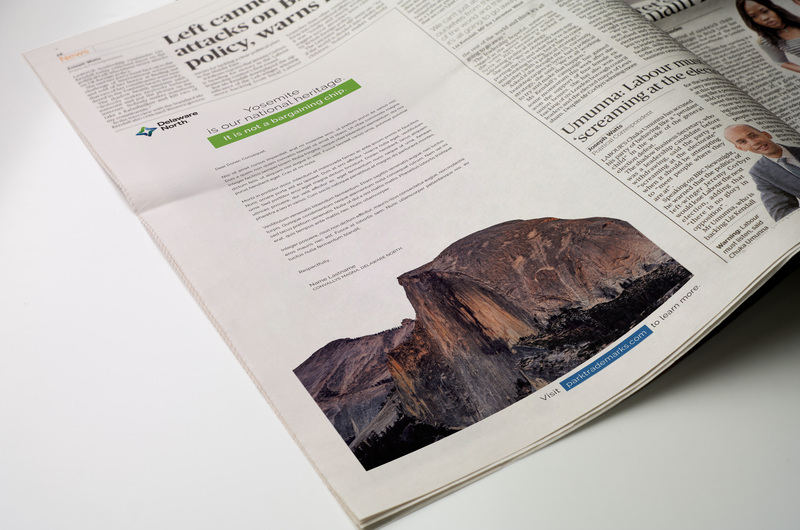 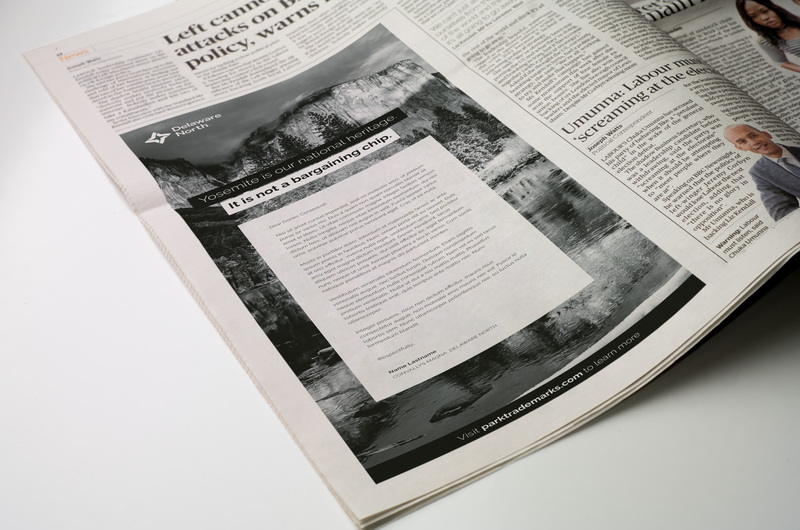 Worked with CRAFT on setting up a series of news paper ads on behalf of Delaware North, to inform the public on the legal dispute over the names of some of Yosemite's landmarks.